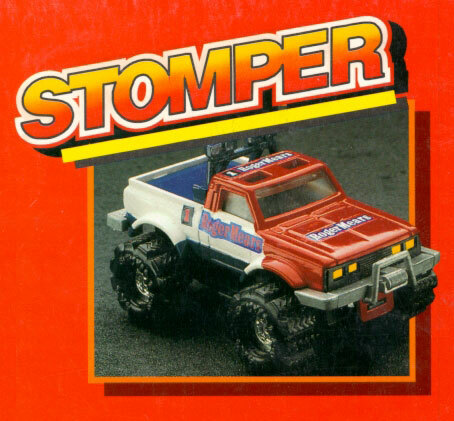 Back in 1992, DreamWorks, a subsidiary of Bandai, resurrected the stompers because they are "the best selling battery-operated vehicles in toy history". Well, thats what they claimed anyway. 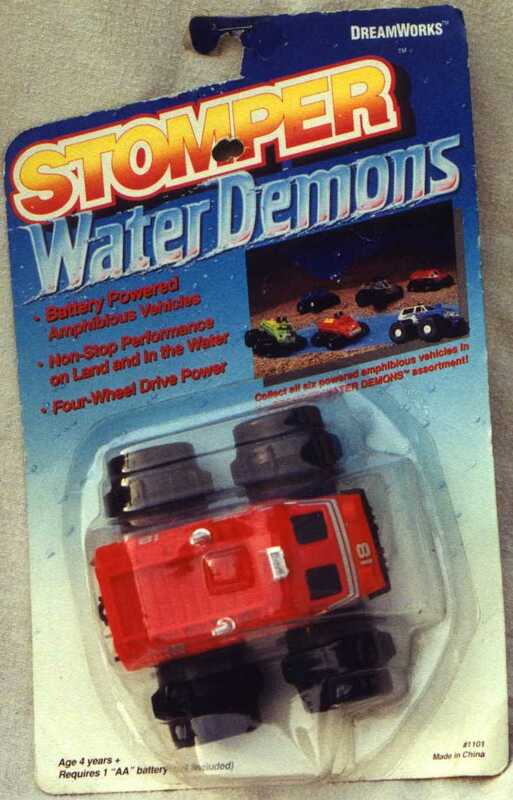 This latest released included at least 12* regular stompers, 6 water demons, and 6 stormers [mobile force]. 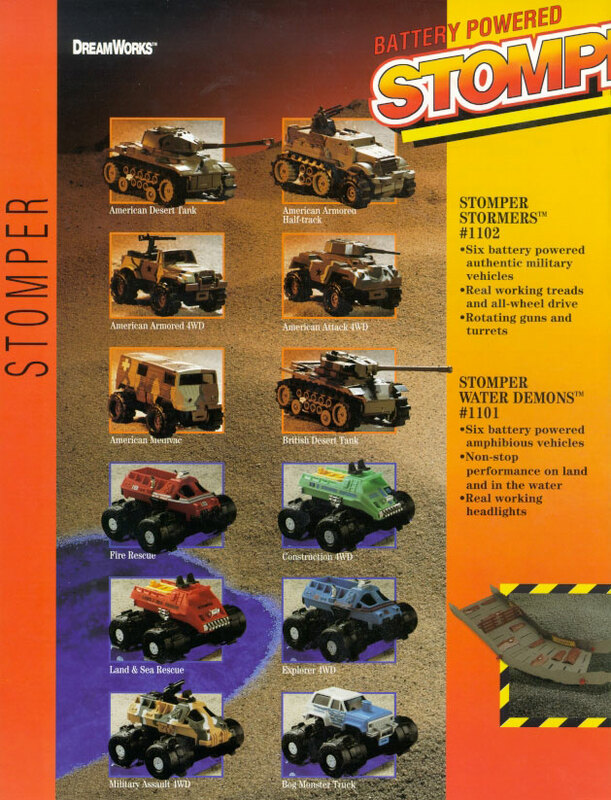 To round off the collection, they also manufactured two play sets under the title Stomper Action Trax. 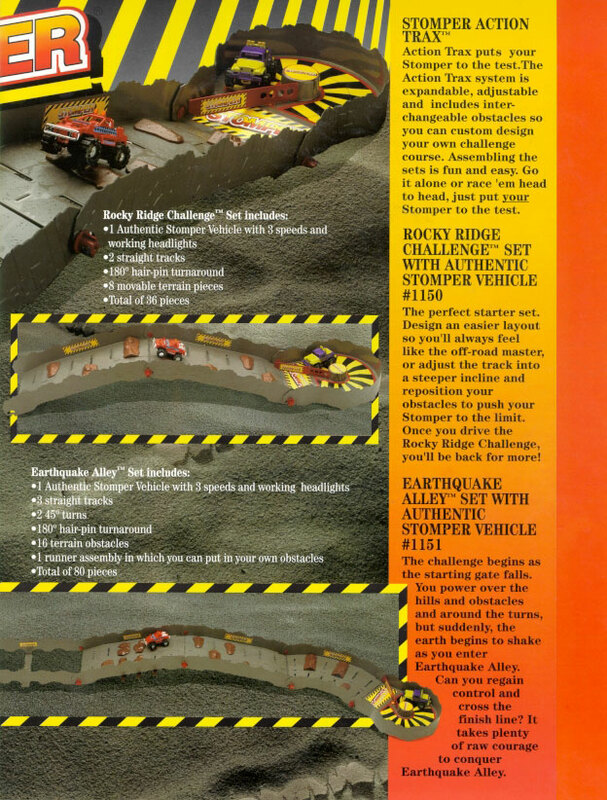 The sets were the Rocky Ridge Challenge (36 pieces) and Earthquake Alley (80 pieces). 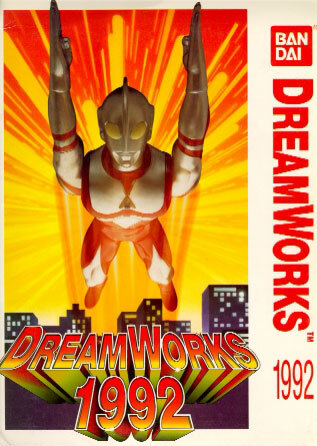 Unforunately, I do not think their campaign was as effective as they hoped. 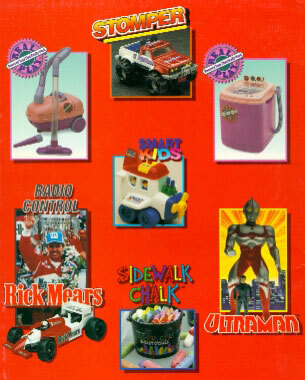 I can not say that I remember any of the commercials (please contact me if you have one of these on tape). 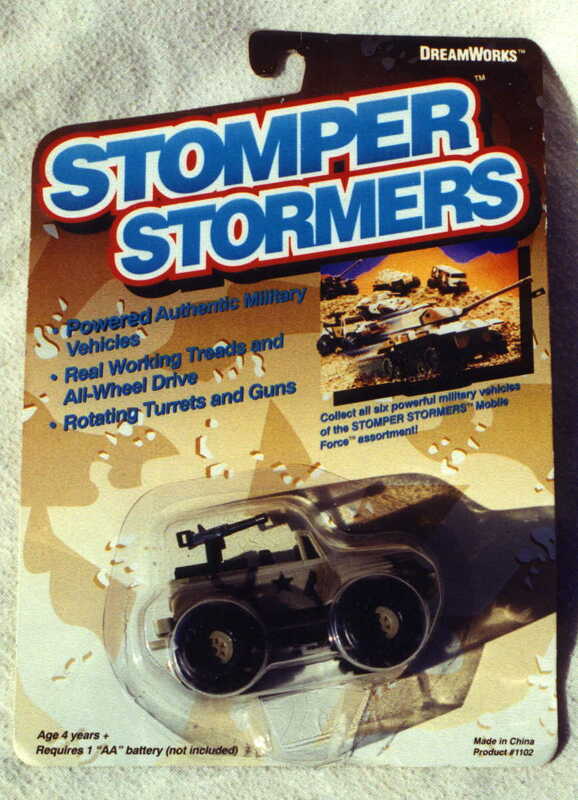 I do not remember ever seeing these stompers in the store either. 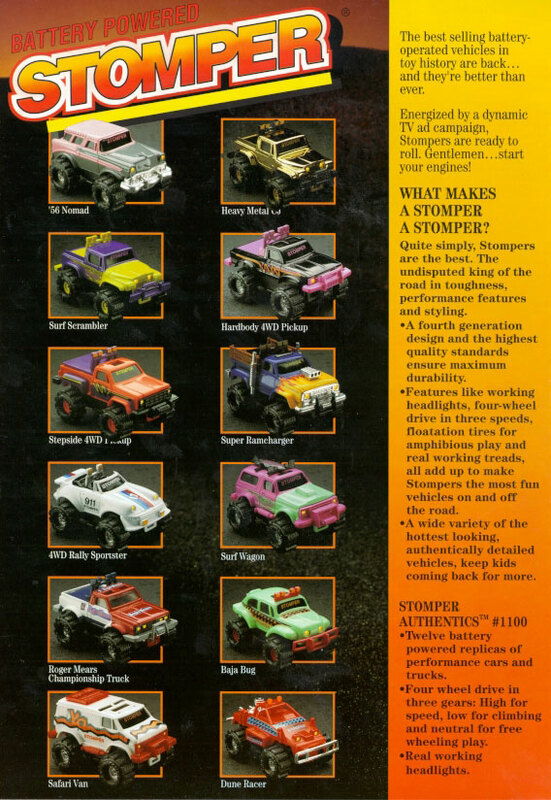 Maybe it was because of the awful colors they picked for the set of 12* stompers. 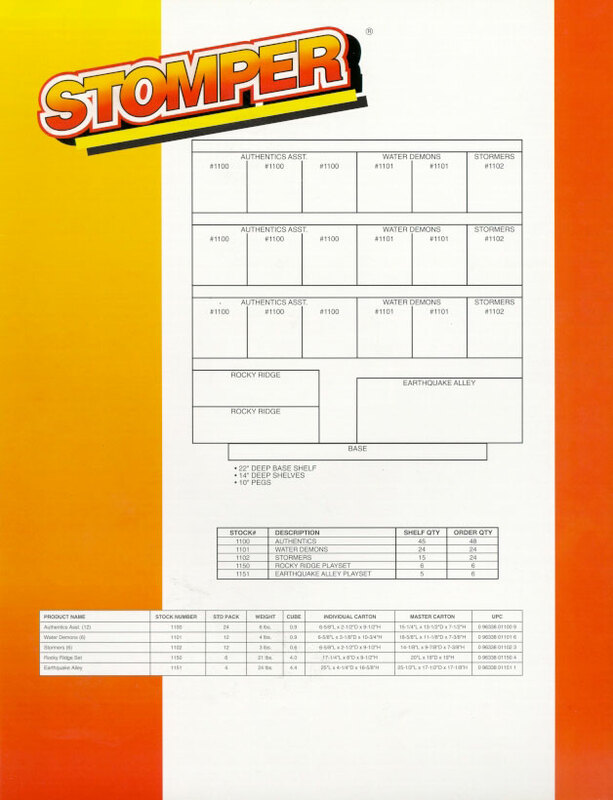 *Side Note: Now I say 12 because the DreamWorks packaging does not show the same 12 stompers we see listed in the catalog. Besides the black cherokee shown in the link, we also see an unknown white truck (stepside perhaps?) 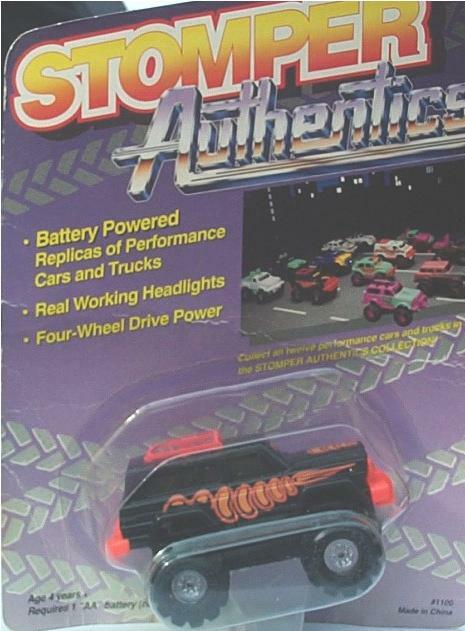 and what looks like a black jeep with a green hood (a variation of surf scrambler?). Lastly, there appears to be a white car next to the white porsche in the back.